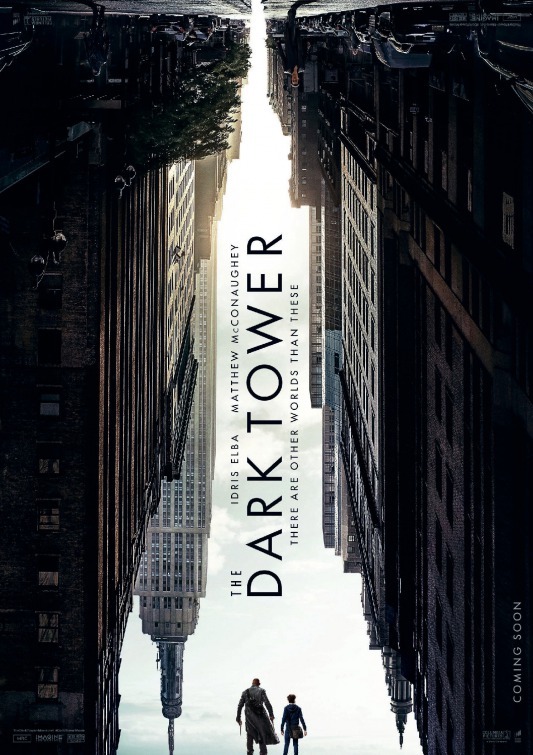 This week, the trailer for The Dark Tower movie came out. I don’t watch movies regularly, except the Oscar-nominated ones (or ones I think will be nominated). So it’s no shock that I didn’t know they were making a movie out of the epic work by Stephen King, but as soon as I heard they had, I got excited about it. So I don’t read a ton either (which might leave you wondering, what does she do with her time?? ), but this is definitely a movie where I’ll want to read the books before I see the movie. The problem with that? The whole 7-book series is over 4,000 pages. Um… not gonna finish that in time for the release in August. I did a little more research about the movie, and found that it loosely goes through the events of volumes 1-4 1/2. (He wrote one in between 4 and 5, hence 4 1/2.) So I can get through 2,000 pages. We’ll see. I’m excited to start the story, though! I’ve always thought Stephen King is a masterful storyteller, arguably the best of modern times. And if I read more, I would likely start with his stories above most others. It’ll actually be a re-start as I tried to read the series several years ago and stopped around the third volume, which I have heard is the toughest one to get through. Any of you read them? Think I can do it? ?